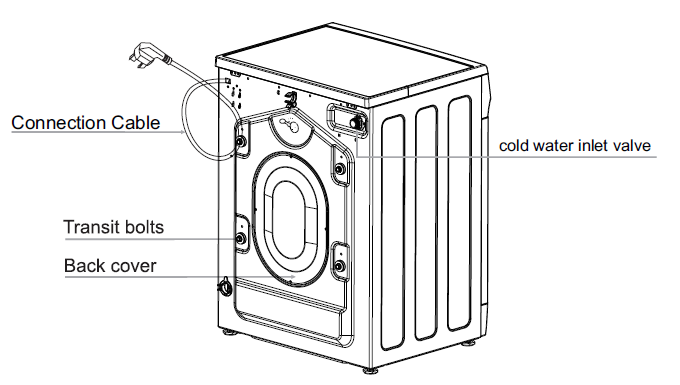 You may be experiencing this issue with your Kogan 9kg Series 7 Front Load Washing Machine or Kogan 8kg Series 7 Front Load Washing Machine if you have not removed the transit bolts from your unit prior to installation and use. These are located in the rear of the machine as displayed below. During spinning, transit bolts which are still in place may result in damage to both the machine and adjacent furniture or appliances. Ensure all transit bolts have been removed from your unit, and the holes plugged with the transit bolt caps provided. This will resolve the shaking issue.